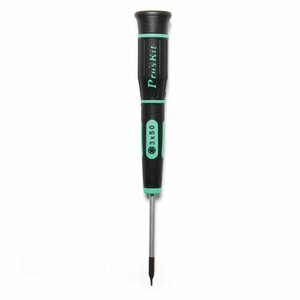 Pro'sKit SD-081-T3 is a precision torx screwdriver with a non-slip handle and a swivel cap. Precision blade made of high quality S2 steel. Designed for precision applications, such as repairing computers, mobile devices, electronics, and more.